I'm Don Genova, a Canadian journalist who specializes in writing and broadcasting about food and travel. I live on the southwest coast of British Columbia, in one of the most exciting areas in the world when it comes to food and wine. 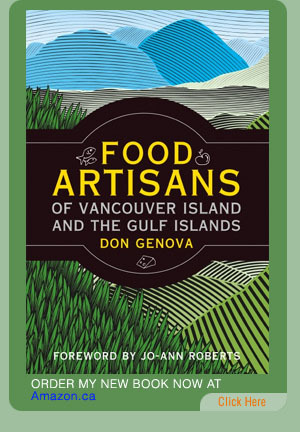 I'm proud to announce the birth of my first book, Food Artisans of Vancouver Island & the Gulf Islands. It's a guide to the region�s best food and produce. I profile talented and passionate food artisans, chefs and business owners, and you'll get a real sense of how well you can eat if you eat local. You can purchase the book at most bookstores in British Columbia, but you can also order it from Amazon.ca right now. My current radio column heard on CBC Radio Victoria is called Food Matters, on the All Points West program. You can find info from each of these columns on my blog. Over the years I've produced several programs about food for CBC Radio called Food For Thought, Pacific Palate and So Much On My Plate. 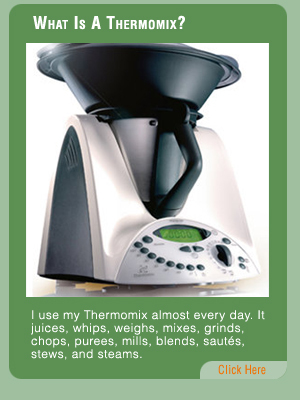 You can find some of the audio online in Archives, as well as recipes, recommendations and links. My podcast, All You Can Eat, is on hiatus for the time being. However, there are 55 episodes of All You Can Eat archived here for your listening pleasure.